*** Create fabulous princess gel nails in the top trending virtual nail salon! *** Perform beautylish nail salon makeover to start your own line of nail fashion! *** Gorgeous fashion nail designs 3D you mustn’t miss for the world! * Your brand new future favorite fashion nail salon games are here! Our latest nail designs app has got more fantastic nail polish colors, stickers, decals and other nail art accessories than any regular cute nail art salon can offer you. Plus, it provides you with many incredible nail design ideas that’ll set in motion the beauty mania you simply wouldn’t be able to resist. * Be among the first nail polishing games fashionistas to enjoy the most fabulous nail art designs step by step free – download Nail Art Beauty Makeover Salon free app right now and dive into the breathtaking world of fashion nail dress up salon! Our 3D nail games for girls are ready to be your new nail care host! * Fashion makeover nail polish games are now more creative than ever! * The largest nail polish color palette! * Colorful and attractive high quality graphics! * Intuitive, easy to use interface! * Infinite gameplay with unlimited combinations! * Beauty salon makeover 3D games for girls completely FREE! * Does combining a perfect nail salon game for girls with a cute princess spa salon sounds tempting? If so, here’s a totally incredible 3D nail art salon that you can’t miss! If you’ve been looking for some real nail salon games 3D asking about how to do nails perfectly, this is your lucky nail art design moment. * Download our nail fashion games now and start playing with tons of nail painting colors, predesigned patterns, girly stickers, glittering rhinestones and various 3D fashion nails decorations, all packed in a gigantic nail kit. 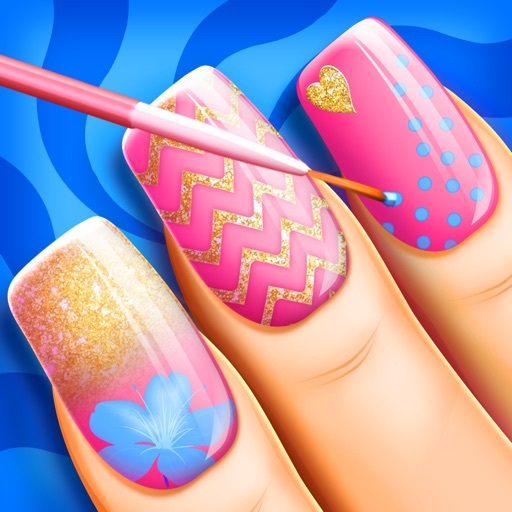 Get Nail Art Beauty Makeover Salon app free of charge and gain access to the most creative manicure salon nail design ideas, with which you’ll design beautiful nail art step by step – exclusively in these free nail painting games for girls! * Let the nail rush hit you so that you can finally throw the fashion makeover nail party worthy of any manicure princess in the real fashion world. Having a personal princess nail salon where astonishing fashion nail art design is so easy to achieve is only a step away! Ready to become a nail designer and realize your princess nail art salon ideas? All you need to do is download these princess nail polish games for girls for free, and the top trending nail games are all yours to enjoy! * Prepare to see for yourself why the fancy glitter nails of our 3D nail salon for girls are so much fun! Now’s the time to try out our latest nail art designs games and show the world your stunning glittering fashion nails 3D skills. Start relaxing with the best nail painting games on the market! Also, our Nail Art Beauty Makeover Salon games will become your favorite girl nail polish games and will surpass any other nail, hair or makeup game you’ve played so far. 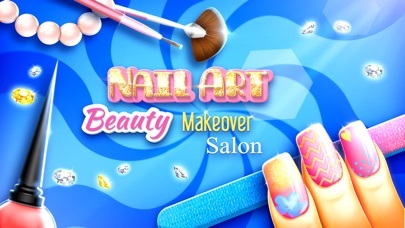 * Get the newest 3D nail salon games for free! You don’t need nail art video tutorials to achieve amazing princess nail art makeover looks. Now you’ve got our cute girl nail salon and these beauty salon games for girls are the best choice when it comes to fashion nails 3D girl games.